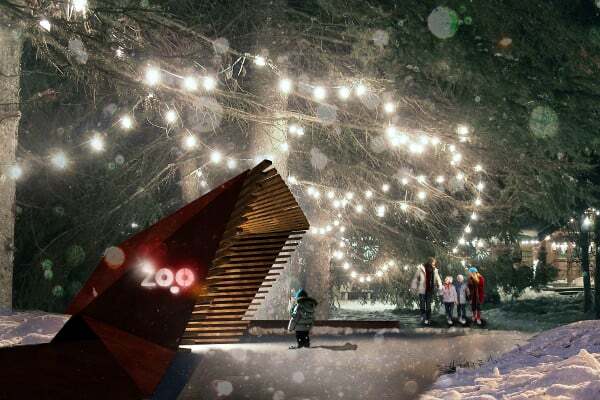 As a friend and partner of the Edmonton Valley Zoo since 1988, the Valley Zoo Development Society is a registered charity and supports the Edmonton Valley Zoo in their education, conservation and sustainability efforts in our community. 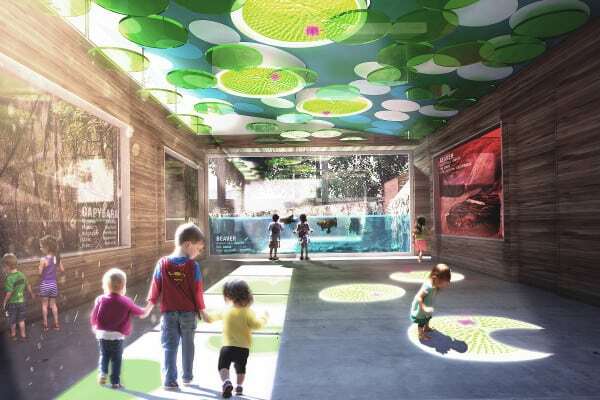 The Valley Zoo Development Society is proud to take a lead role in the stunning and sustainable transformation of our Zoo. Click on the image above for a downloadable brochure detailing the phases of Nature’s Wild Backyard and what you can do to help! 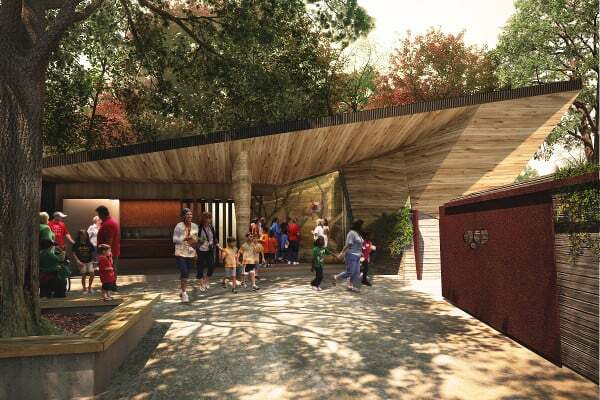 Our next showcase project is a nine million dollar capital campaign in support of the next phase of the Zoo’s revitalization: Nature’s Wild Backyard. Children are naturally fascinated by the natural world, especially by animals. 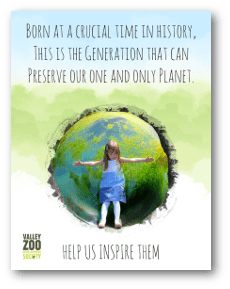 By providing them with a fun setting in which they can learn about global biodiversity, we can create lifelong ambassadors for the long term health of all species on our planet. 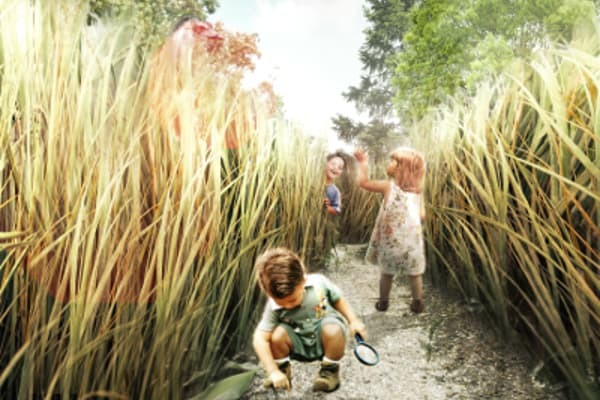 The zones of Nature’s Wild Backyard will allow children, and adults alike, to experience the world in the same manner as the animals that inhabit it: Above, Between, On, Under and Urban Farm. RED PANDA EXHIBIT & VIP COURTYARD…The exhibit gives visitors a chance to get closer than ever to one of the Zoo’s most popular animals. 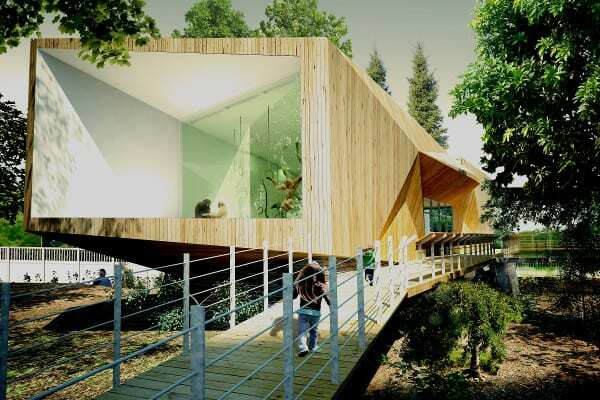 The holding building offers privileged views into an on-exhibit winter den while also providing generous and more private quarters for the pandas. ROLL UP YOUR SLEEVES IN THE URBAN FARM (COMPLETED SPRING 2019!) 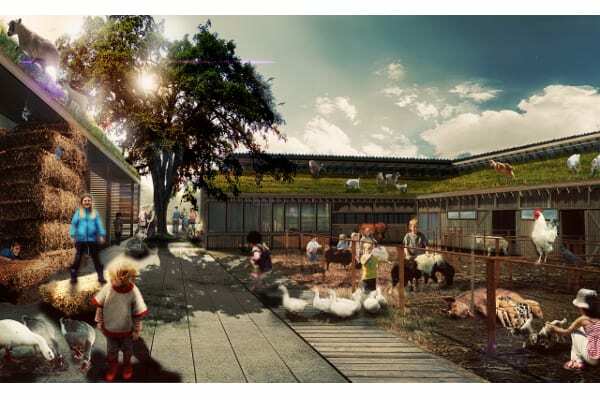 … The goal of the Urban Farm is to personally engage guests in the world of a working farm. For the majority of urban children, a visit to our zoo will be the only time they will ever have an experience on a farm. The Farm will include indoor and outdoor spaces for cows, sheep, turkeys, chicken, ponies, pigs, goats, guinea pigs, rabbits and a barn cat. 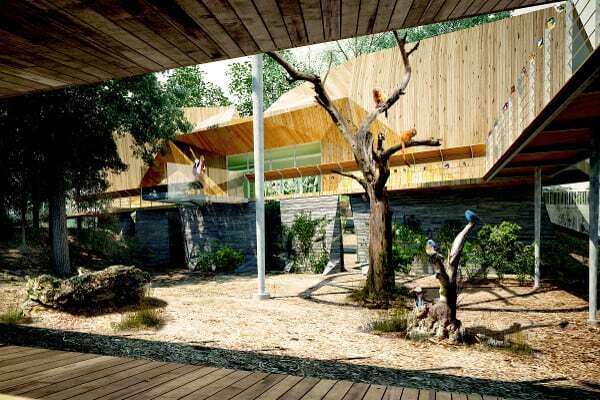 Outdoors, a contact yard will provide the opportunity for guests to interact personally with a variety of species. THE “ABOVE” ZONE – A BIRDS EYE VIEW… This complex zone will be completed in several phases and will be a highlight of Nature’s Wild Backyard. 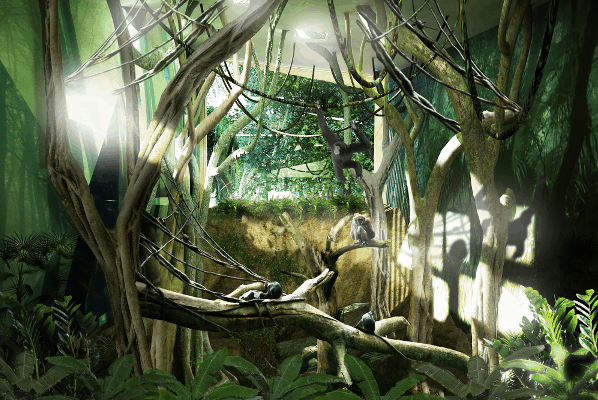 The Above Zone lifts visitors into the realm of one the Edmonton Valley Zoo’s most prominent life forms – trees. 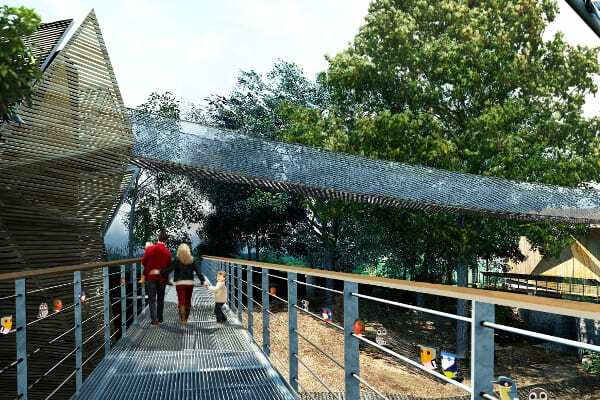 An elevated boardwalk provides views into mesh enclosed aviaries featuring gibbons, tamarins, anteaters, and a variety of birds. The boardwalk also connects visitors to both the holding building and the observation tower. IMMERSE YOURSELF IN TWO WORLDS IN THE “BETWEEN” ZONE… The Between Zone immerses visitors in a riparian zone that celebrates the unique adaptations of animals who live both on land and in the water: capybaras, agoutis, beavers and a variety of waterfowl. 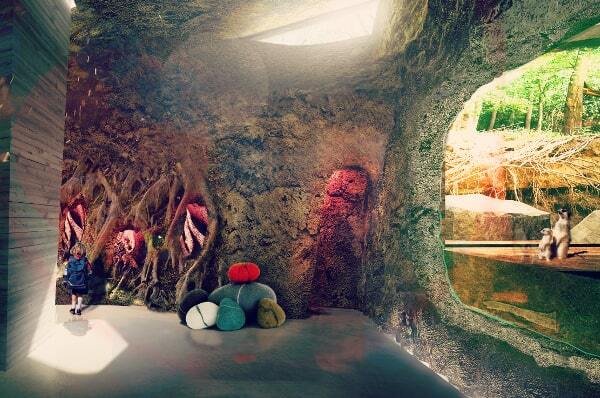 The central feature of this zone focuses on submerging visitors in aquatic environments. EXPLORE THE DEPTHS IN THE “UNDER” ZONE… The Under Zone focuses on the relationship between the animals that live below the earth and the predators that prowl above. 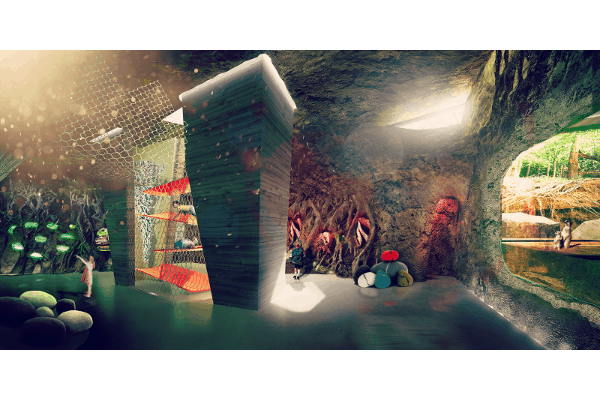 The visitor experience will be shaped by a gradual descent into an underground space that offers eye to eye views with prairie dogs, burrowing owls, red foxes, naked mole rats, swift foxes and meerkats. GET GROUNDED IN THE “ON” ZONE… An exciting, hands on adventure with the animals who live on ground level. Wallabies, emu and fallow deer roam these spaces. 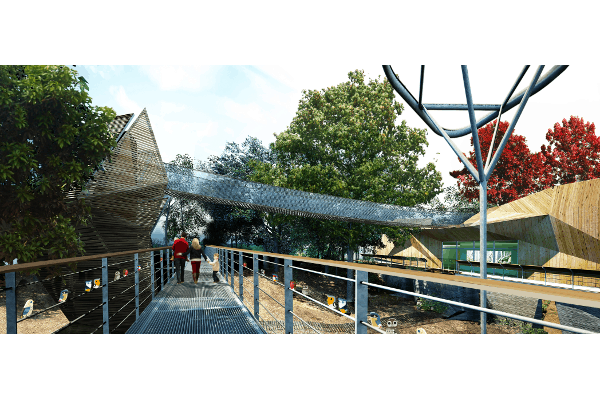 The deer and wallaby exhibits will have walk-through access for our guests, while the emu exhibit will feature parallel play opportunities that demonstrate the raw speed of these impressive birds. THE YARD… The Yard is Nature`s Wild Backyard central free play space. 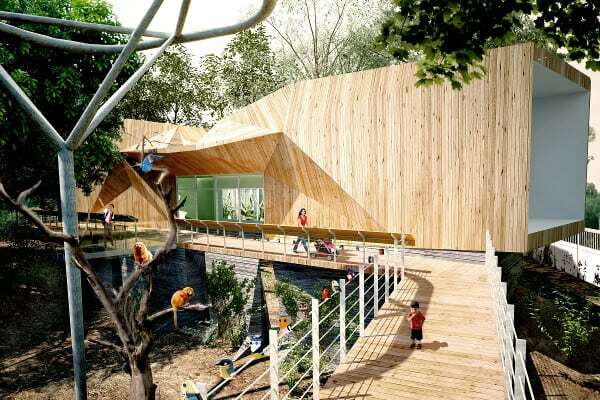 It`s southern half is dedicated to unstructured free play and offers a space to stop and picnic or play tag. In the winter months, the lawn is converted to a backyard skating rink.